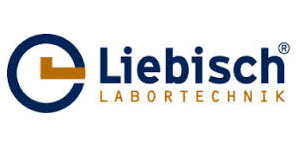 The name Liebisch has been synonymous for high quality and reliable corrosion test equipment for the past 40 years. Liebisch offers 50 Variants with unique diversity of models. Cabinet & Chest type units ranging from 300 to 2500 Liters. Various customized sizes and modifications to standard equipment to suit test requirements and meet diversity of applications. Desk Type Units are used for condensation water tests with or without pollution gas (e.g. DIN EN ISO 6270-2, DIN 50018). Desk type unit without automatic ventilation. Desk type unit without automatic ventilation and increased operating temperature. Desk type unit with automatic ventilation and increased operating temperature. This series are programmable and can be equipped with systems for salt spray or built as combination testing units. 400/1000/2000 litres test chamber volume for salt spray tests. 400/1000/2000 litres test chamber volume for combination tests with automatic ventilation. 400/1000/2000 litres test chamber volume for combination tests with automatic ventilation and warm air. 400/1000/2000 litres test chamber volume for combination tests with automatic ventilation, warm air and controlled rel. humidity. This series are manually operated cabinets of type M-SC for performing of condensation water tests such as DIN EN ISO 6270-2 (without pollution gas). 400/1000/2000 litres test chamber volume without ventilation. Chest type units are available in 400, 1000 and 2500 liter test chamber volume for performing condensation tests, salt Spray and combination of tests (Cyclic) as per DIN EN ISO 6270-2 (without pollution gas), DIN EN ISO 9227 and other relevant test standards. 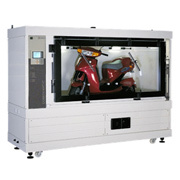 Extensive list of accessories / options are available along with chest type units for users seeking to perform tests as per various automotive, electronic or any international test standards. This series are manually operated chests of type M-TR for performing of condensation water tests such as DIN EN ISO 6270-2 (without pollution gas). Chest type units with 400/1000/2500 litres test chamber volume without ventilation. This series are manually operated chests of type M- TR to perform salt spray tests such as DIN EN ISO 9227 without automatic ventilation. Chest type units with 400/1000/2500 litres test chamber volume for performing salt spray tests. 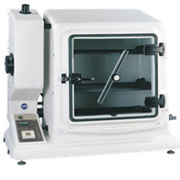 This series are manually operated chests of type M- TR to perform salt spray tests or condensation water tests. They are called “manually operated combination testers”. Chest type units with 400/1000/2500 litres test chamber volume for performing salt spray or condensation water tests. This series are programmable and operate the A-TR range of chests. The unit’s easy to use programmer is mounted in the control panel. All functions are displayed on a multi-line menu-driven display. The units can be equipped with systems for salt spray or built as combination testing unit. Chest type units with 400/1000/2500 litres test chamber volume for salt spray tests. Chest type units with 400/1000/2500 litres test chamber volume for combination tests with automatic ventilation. Chest type units with 1000/2500 litres test chamber volume for combination tests with automatic ventilation, warm air and controlled rel. humidity.